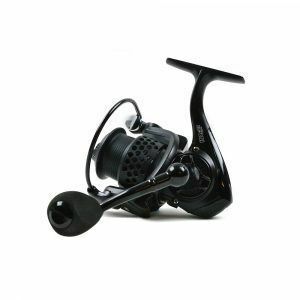 A low-profile reel that has been designed for lure fishing from the outset. Baitcasters are the ideal choice when fishing with short rods, with trigger grips and require rapid, accurate casting with hard and soft baits. Super smooth and fast. 6.3:1 retrieve. Thumb bar spool disengagement for rapid casting. Cast Control to change the speed of the spool for casting. Great for fishing with shorter rods with trigger grips. 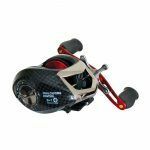 A low-profile reel that has been designed for lure fishing from the outset. Baitcasters are the ideal choice when fishing with short rods, with trigger grips and require rapid, accurate casting with hard and soft baits. 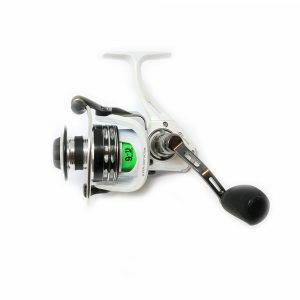 The reel comes with a thumb bar for immediate gear disengagement to quickly cast, it can be operated with one hand. It comes with 10 ball bearings for extra smoothness and a fast 6.3:1 retrieve. The thumb bar is quickly operated and smooth, it will disengage quickly and engages with a simple turn of the handle. 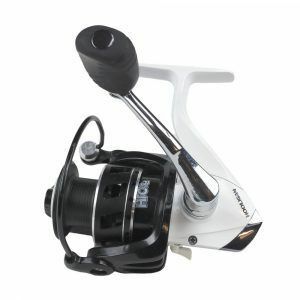 It comes with a level-wind to keep the line level on the spool, stopping bunching and aiding in casting longer distances. Cast Control allows the speed of spool rotation to be adjusted using a dial on the side. This is ideal to tweak the spool speed based on the type of lures, rod or fishing situation. Cast Control makes it ideal for use by beginners, they can tweak the spool in increments as they get used to casting with a baitcasting reel.